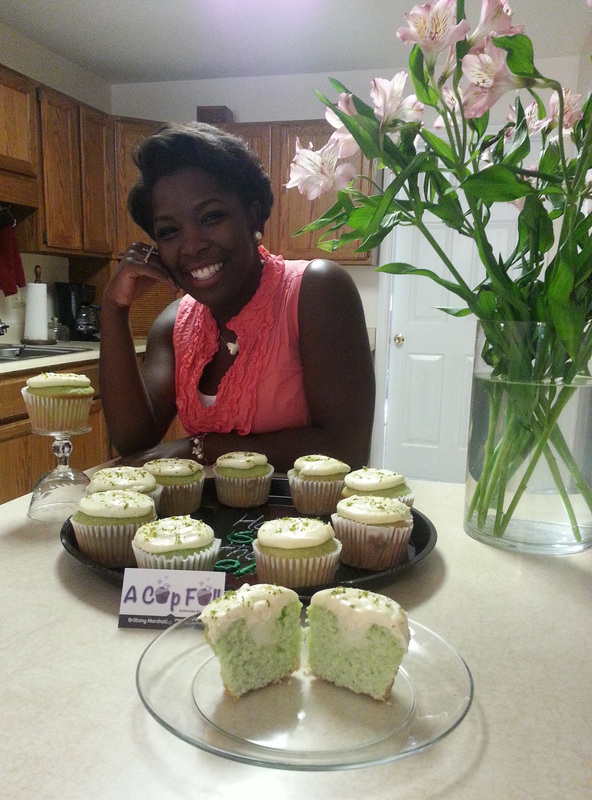 A Cup Full: Cupcakes by Brittany is a baking service that specializes in unique cupcakes. Many cupcakes are filled with fresh fruits, cream, spirits or your favorite filling. Bakeries are very popular, but not all fill your cup of cake with seasonal favorites! C.E.O. and Owner, Brittany Marshall, is a native of Charlotte, North Carolina and graduate of The UNC-Greensboro. Giving all honor to God, I am so grateful that you are taking the time to browse and shop this site. I hope that you find something as sweet as you are to me. I dedicate my passion for baking to my fondest memories as a child in the kitchen with my grandmother. Cooking, baking, singing, and taste testing every chance we could. Granny, as she is lovingly called, never had written recipes and never made a dish shy of perfection. Even if too much sugar went in the bowl, it just added a little more “robust” flavor, as she would say. As a product of a big family and church family, I have goals to use my business to give back to my community. I enjoy the flexibility of baking and the many events and purposes cupcakes can be welcomed. From vendor opportunities, not-for-profit partnerships, parties and occasions, everyone loves a sweet treat to celebrate around. In my passion for children and leadership, I hope to host cupcake parties that inspire entrepreneurial spirits and creativity. I often reflect on the opportunities I experienced as a Debutante and the etiquette training I received and I feel that many of those lessons are missing in today’s youth. I hope to give the same experience in the form of Tea Parties with cupcakes. One day, I hope to open a non-profit community center that encourages youth to express their creativity (whether it be with cooking, dancing, singing, or other arts) and learn the essential steps to marketing those skills to profit their lives and benefit others.